April 09, 2019, 2:00 p.m. 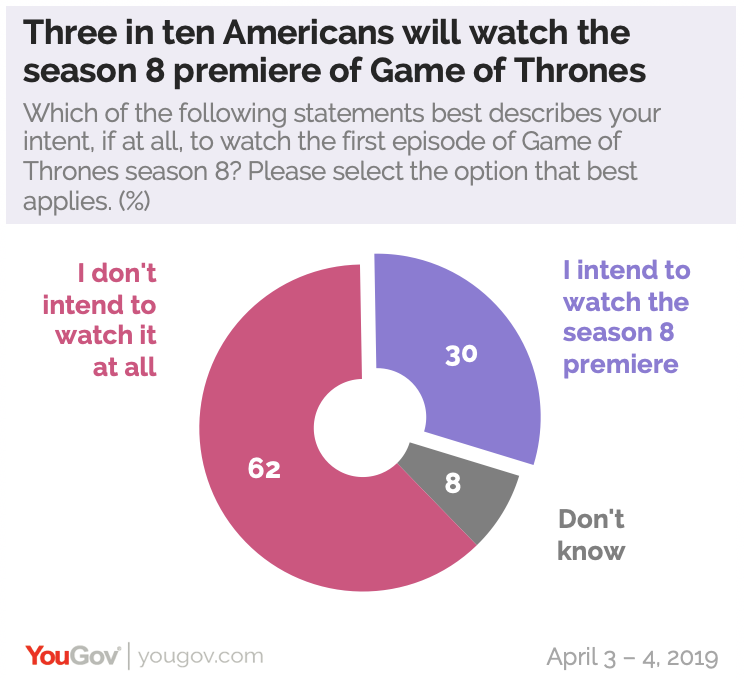 The eighth and final season of HBO’s hit series, Game of Thrones, premieres April 14th and the latest research from YouGov RealTime reveals that three in ten (30%) Americans plan to watch it, including 20% who plan on watching it on Sunday night. The TV series has taken the world by storm since its 2011 release and today, 31% of Americans have watched at least some of the HBO show adapted from George R. R. Martin’s book series. As of early April, 18% of Americans have watched all seven seasons and are fully caught up with the show. Last season’s Game of Thrones season 7 premiere drew an audience of 16.1 million viewers and shattered records for HBO. Ahead of the final season, one in five (20%) Americans intend to tune in at some point Sunday night and 18% say they will watch the first episode live via streaming or TV. Another 9% say they’ll watch or stream it after the premiere date. 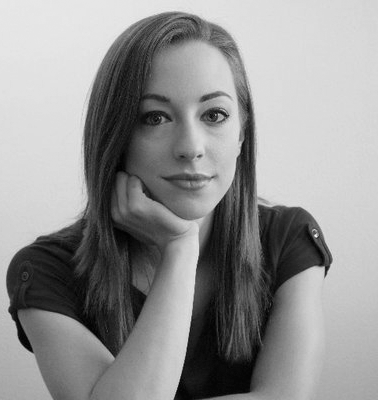 The show’s massive following speaks to its popularity and among those who have watched the show, 88% say they like it and 30% deem it as their absolute favorite TV show. One of the burning questions left for the final season to answer is which character will sit on the Iron Throne, the seat of power in Westeros, when all is said and done. According to viewers who are caught up on the show, the race is close. 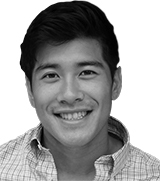 The frontrunner to win the throne, though by a marginal difference, is Jon Snow (25%). The White Wolf is followed closely by the Mother of Dragons, Daenerys Targaryen, with 23% of votes from people who are caught up with Game of Thrones. The next most popular prediction is that no one will sit on the throne and it will actually be destroyed (11%). Given the unpredictable nature of the show, it’s no surprise that just over one in ten expect this will happen. 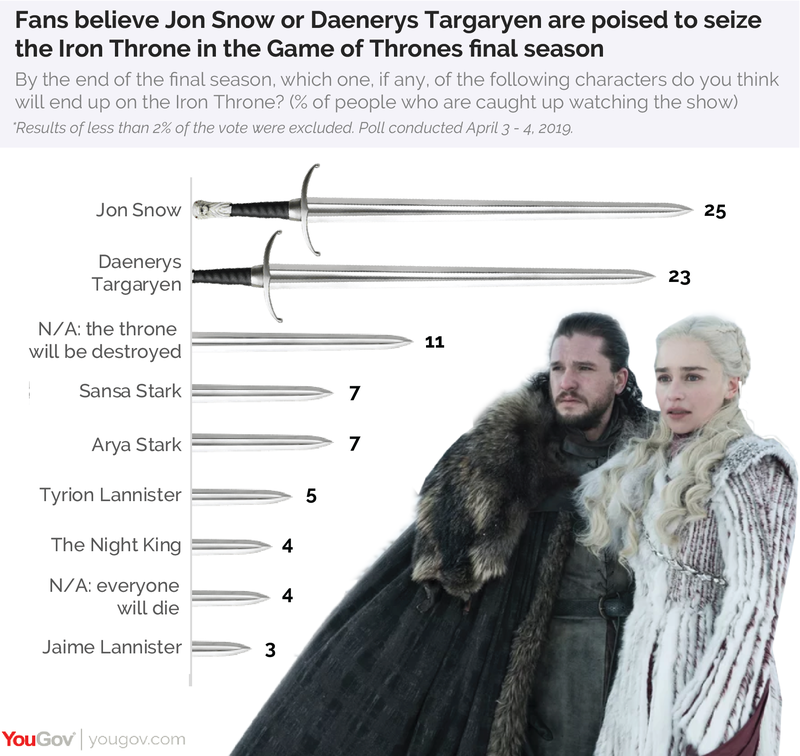 Two women from Winterfell, Sansa Stark and Arya Stark, are equally popular (7% each) predictions for who will next hold the throne. And the Imp, Tyrion Lannister, captures 5% of the votes from viewers who are caught up.